Right now it smells like I’m having a coffee in an all-American diner where they are serving warm apple pies. Yes, I am sipping on a steaming cup of coffee but unfortunately I am NOT in the US (there is a Warm Apple Pie Village Candle burning in the room). That’s the wonder of scented candles…yesterday the wonderful fragrance of sun tanning lotion and coconut cocktails was wafting through the air around me while I was actually sitting in my office area working on my laptop (a Coconut Bay tumbler candle was burning nearby). A new visitor to my home will notice 2 things upon entering my humble abode – I love pastel colours, I love bunnies and I LOVE Yankee candles. Today I’m coming at you with a blog post about candles – my all-time favourite Yankee candles, my favourite festive candles and a short(ish) and a wish list of candles I’d like to purchase in the near future. I’m also doing a short Q & A on questions I have received from you guys i.e. where I buy my scented candles from etc. I’ve loaded a couple of photos on Instagram (my username is: luzanne6325 if you’d like to follow me) of my Yankees and most of the time someone asks me where I buy my candles from, so I reckoned it was high time I did a proper blog post. 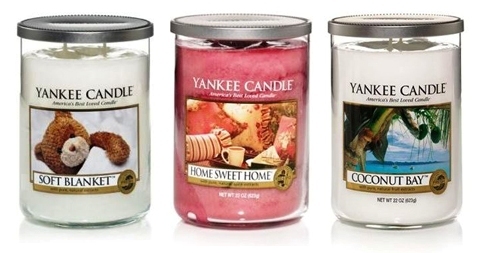 Yankee candles, Village candles and Kringle candles are currently all available for purchase in South Africa. I am SO glad South Africans jumped on the whole scented candle bandwagon a couple of years ago. My love affair with scented candles has developed into a full blown obsession (the kind young girls get carted off to the loony bin for) but the first step to recovery would be to admit I have a problem….and we’re not quite there yet! Where can I purchase these scented candles from in South Africa? It depends where you live, if you live in Gauteng I can give you a list of places where I have bought my candles from. If you live somewhere else, then your best option would probably be to buy yours online at Creative Candles. They are a South African online store that sells Village-, Yankee- and Kringle candles. What is the difference between Yankee-, Kringle- and Village candles? The main difference between a Yankee candle and a Village candle are the wicks. A Village candle always contains 2 wicks per jar to ensure even burning. In my experience, though, a Yankee candle will also burn down evenly (not create a tunnel down the middle of the candle) if you let it burn for long enough. I don’t think the one burns down faster than the other, nor do I think there is a difference in quality of the wax. I do think the scent of Yankee candles are the most true to original scent (the scents are not too artificial) out of all 3 mentioned. I’ve personally only ever used the tartlets from Kringle Candle so I can’t comment on the burning quality of an actual candle jar of theirs. In terms of the size of the wicks, Yankee candles do have thicker wicks which burn more easily but they also create a bit of a mess (soot falling into the liquid wax) if you don’t cut them down with a wick trimmer. What I love about Village candles is you always receive a car freshener with each candle (the car freshener is situated on top of the candle max inside the jar). Do I really need to use a candle wick trimmer? How do I know when my candle has burned down to the minimum? When there about 1,5cm to 2cm of wax left at the bottom of your jar, that’s the time you want to stop using your candle. The glass can get hot on the bottom as the flame nears the base of the jar and most of the wax has been consumed. This will prevent possible heat damage to the counter/surface or container itself – I’ve read on a few occasions the jar has cracked & shattered when left to burn to the bottom of the jar. What do I do with my jar once the candle has burned to the bottom? There are so many ideas for repurposing candle jars online, I’ll mention a few of my favourite uses below. All you need to do to get the last of the wax out of the jar is pop the jar into the freezer and let it freeze for about a day. Once the wax is completely frozen, use a blunt knife to break the wax into smaller pieces to remove from inside the jar. If you have a tumbler jar (pictured in my wish list above), then you can just loosen the side of the wax and the whole piece will just pop out. It’s super easy to remove the label of the candle by using a paring knife. Run the blade under one corner of the label and gently push the knife along as you pull on the label. Once the label is off, grab a cotton round soaked with baby oil to wipe off any excess stickiness. Pop the jar in the dishwasher & it’ll come out clean as a whistle. Just google the words ‘repurpose candle jars’ and a loooong list of ideas will come up (I always search by images). My candle is starting to create a tunnel down the middle of the candle – what to do? When burning a medium or large jar candle, make sure you allow the candle to melt to the edge (usually about 3 to 4 hours) before extinguishing it. If you burn your candle for short periods of time, it will create a ‘memory ring’ or tunnel around the wick and you’ll find it difficult for it to melt completely on future burns. I did this a couple of times in the beginning and then figured out that it’s best to let the candle burn until all the wax on top has been melted. The flame of the candle is producing too much smoke – what can I do? Your flame is probably dancing around in the jar (flickering). When a flame flickers too much it can produce unwanted smoke. Flickering flames are usually caused by a wick that’s too long (which means you will have to trim it) or drafts in the air. Extinguish your candle, trim the wick, check the location for active air currents – such as heaters, air conditioners, open windows, move the candle to an area where there isn’t a direct air current, relight and enjoy! What are the prices of these candles? 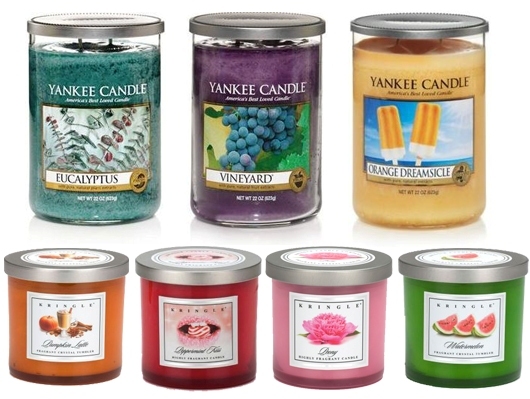 Yankee candles are usually the most expensive out of the 3 brands mentioned in this blog post, then Village candle and then Kringle candle (but on Creative Candles website they are all priced the same…which is weird…but good). I can’t give you guys a definitely price for the candles because each shop has their own mark-up but what I can tell you is Creative Candles has the best prices I’ve seen so far with Willow Feather Farm being a close second. Creative Candles sells the big Yankee jars for R 310,00, the medium jars for R 270,00 and a small jar for R 160,00. How long do these candles burn for? I’n going to give you the burning times for medium jars because Kringle candle doesn’t have a small- or large jar (well, I haven’t seen them in SA). Medium Yankee candle – 65 to 90 hours of fragrance; medium Village candle – 90 to 105 hours of fragrance; and medium Kringle candle – 50 to 70 hours of fragrance. ♥ 50 Million Pounds: Amount of wax the company uses each year. That works out to 137,000 pounds each day! If you guys have anything to add to this blog post i.e. where you buy your candles from or how you take care of your candles, please comment below. I’m always interested to know how you guys do things differently to me. Great and informative post, Luzanne. I’ve always wondered where people get their yankee candles from. Will defs check out Creative Candles, thank you. Obsessssssed with Yankee Candles, they are by far the superior brand for me personally!!! Thank you for mentioning suppliers, I’m sure it will help a few ladies. 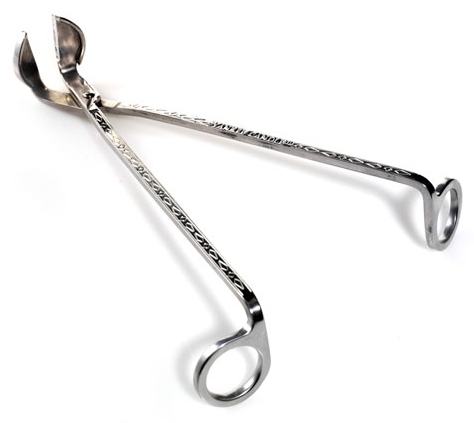 Thank you for letting us know about the stockist in Menlo Park – I’m sure it will help Pretoria East-based ladies. I used to live in Menlo Park, so I know which centre you are talking about – I think it’s the gift shop next to the Kaalkop Studio? Fanta Grape scent sounds delicious…wow. I live in Centurion and never even knew about Willow Feather Farm, will defs check them out. Thank you, Luzanne. Pleasure, Nousheen. 🙂 Willow Feather Farm is lovely, if you have kids definitely take them with you when you go there, they have beautiful gardens, a tea garden, a playground for the kids and a clean animal farm. Thank you for all the info…was wondering about getting some and where and what! Very informative post, Luzanne! 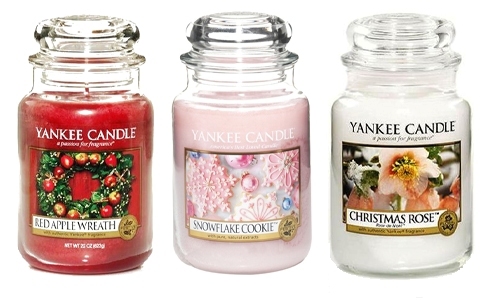 The festive Yankee Candles sound like they smell delicious! I actually don’t buy many Yankee Candles, they smell great but I always find that they don’t evenly in the jar….it’s so irritating. I buy Gold Canyon…I actually hosted a party yesterday and sold over $800 worth of candles! I loooooove candles…I have quite a collection at home. LOL! Do you burn the Yankees for long periods at a time, that’s the only way I get my candles to burn down evenly. Aaaaah! Now I have a whole bunch of new scents to try out… There is a Yankee Candle store at Nicolway Shopping Centre in Bryanston. So bad for the budget!! Love Village Candles, I received Wild Rose as a gift from my daughter. I keep it in my bedroom as it has a lovely soft rosy smell and the car freshener I hung in my clothing cupboard! Very informative post! Hahah! So glad you’re loving the Wild Rose candle – it’s a lovely scent. Great idea using the car freshener in the cupboard!! Thank you SO much for all the info. I have such an obsession with candles and now I can shop all the deliciousness. We happy to let you know that we have a 25% discount on our Village Candle range this spring. & Delivery is free when the purchase is R450. PS: Please send us your postal address, as we have something small to send just to show our appreciation.